The warm weather in Perth has meant quite an extended growing season for some of our edibles, so the produce room is filling up! 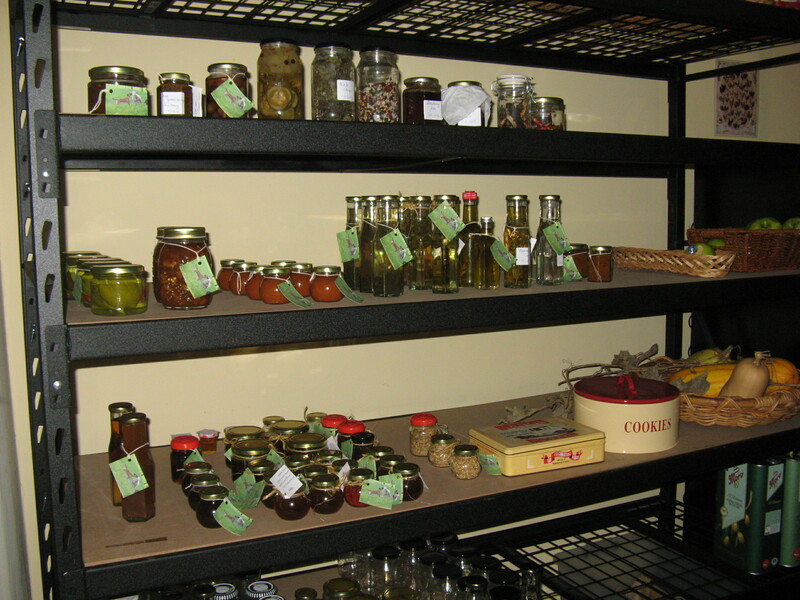 We had to rearrange shelving to enable us to fit in more jars of produce on one side, but gave us space on the other for our beekeeping gear. We also purchased a ‘wine’ cooler in which to keep produce that needed refrigerating, as the main fridge was getting too full! Another honey harvest this week gave us over 3 litres of honey from two frames. We were a bit more ‘vigourous’ with scraping the capping off and left it to drain a bit longer than last time. Also this time, we cleaned up the wax capping to enable us to use the beeswax! 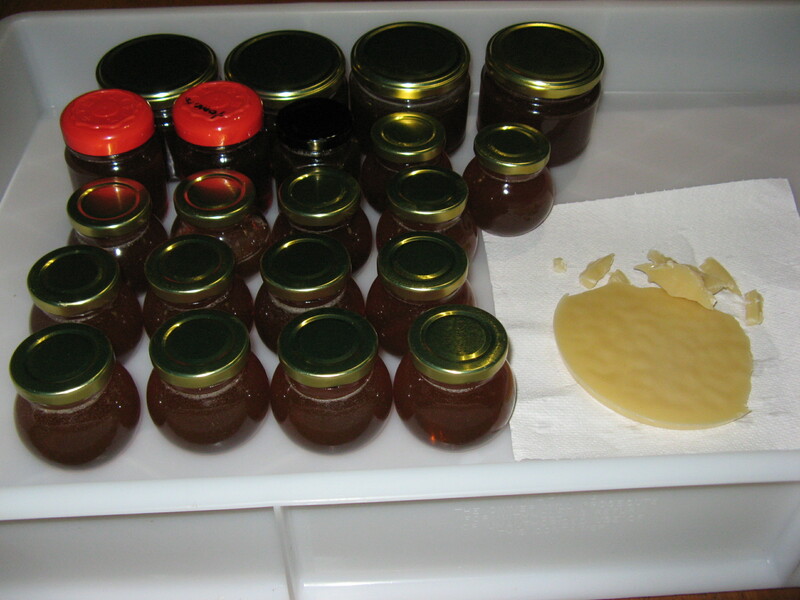 Plenty of honey and some beeswax ready for making lip balm!